Easter is almost here and you're probably piecing together all the items you want to include in your children's Easter baskets. When you're shopping for candy, it never seems like enough candy. And then when put the candy in the baskets, it's way too much candy. As much as kids love the candy they receive, they will be just as happy with a bit less candy and a little more fun. Here are some ideas to make a less-sugary Easter basket for the little princess in your life! Every little Disney fan would love to find hair accessories featuring her favorite princesses on Easter morning. There are so many options to choose from, for every hair type. From hair bands to hair ties to hair clips, there is something for everyone. You could also include a hair brush and maybe your daughter will finally begin brushing out those knots all on her own! All three of my girls love nail polish right now. Princess sets allow each of them to paint their nails with the colors that they love. Non-toxic versions are always best — especially if you have any nail biters or thumb suckers in your house. What kid doesn't love stickers? Just make sure to get a sticker book to go along with the stickers or you may find stickers on all of your belongings. Reading together is a habit every family should start. Why not buy the storybooks of your daughter's favorite princesses and read them together day or night? 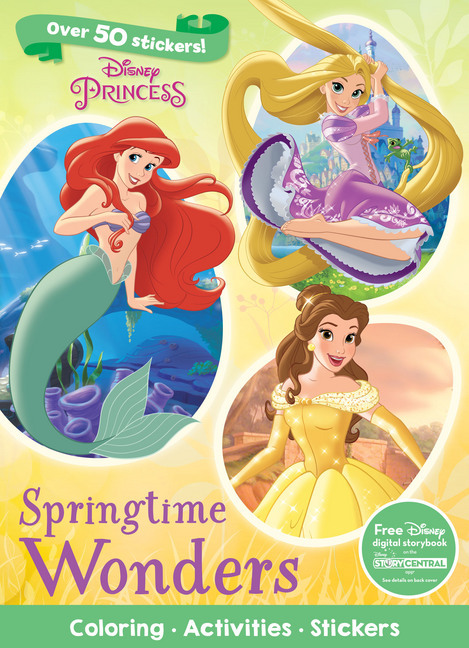 Combine princesses with learning and fun by filling your child's Easter basket with activity books featuring they're favorite princesses. 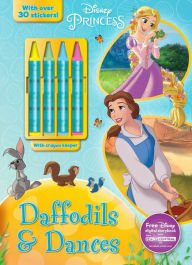 Disney Princess Springtime Wonders from Parragon includes coloring, activities, and stickers that will keep them busy. 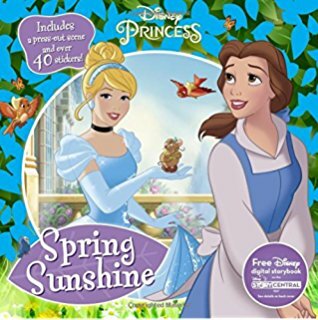 Parragon's Disney Princess Daffodils and Dances and Disney Princess Spring Sunshine are also perfect Easter gifts. They feature flowers, stickers, and princess fun that you can take on the go with you. Make your little girl feel a little more grownup this year by including some princess jewelry in her Easter basket. She can even accessorize for school! Easter is a beautiful day during a beautiful time of year, which makes it the perfect occasion for treating your kiddo to some fun, sugar-free gifts to celebrate! Parragon Books provided Parenting Squad with activity books for review.